You’ll find the Artisans’ Nest Gallery in Bodalla, NSW. 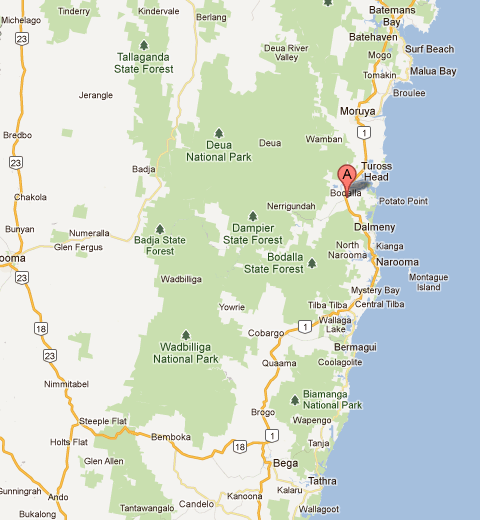 Bodalla is 50 minutes south of Batemans Bay, or 15 minutes north of Narooma. The gallery is located on the left, at 56 Princes Highway, next to the Dairy Shed Cafe as you’re heading south. Housed in the 1870’s Groom’s Cottage Bodalla. This ‘not to be missed’ gallery showcases work from regional textile artists and more. One of our member artists opens the gallery at 10am. We close at 4.30 most days and 4pm in the Winter months. We are open 7 days a week but closed Christmas Day and Boxing Day.